The auto industry as it could have been... The year is 2020 and Detective Ben Rengale has a problem. OK, several problems. 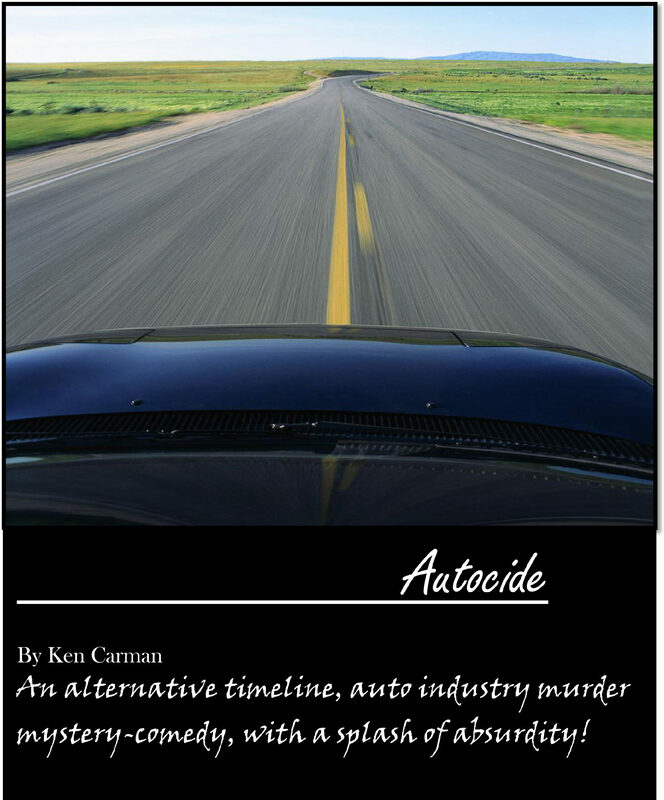 There's a murder at the second biggest automaker in the world and he's been sent there to investigate. Ben dislikes large corporations, and is very suspicious regarding how they survived the 50s and the 60s. Ben is a bit of a conspiracy fan, as well as very obnoxious, quite offensive and finds jokes during the most inappropriate times and situations. More problems: Ben thinks someone may be following him, and to investigate this murder he has to go see someone he'd rather kill than see. Actual historical characters and events blend in with models of cars that were, and could of been. Expect the unexpected as the author and the characters interact, ghosts appear and flashbacks in the form of interludes fill in the stories beneath the story. A fun read.